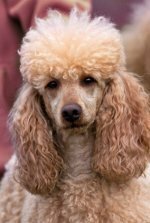 It's important to have a natural disaster plan for your poodle and know how to protect, and take care of, your pet during natural disasters with the recent onslaught of hurricanes, floods, mudslides, wildfires and tornados. Natural disaster kits should include a foldable crate along with blankets, towels and a first aid kit right by the crate. Keep a bag of dog food or canned food (with a handheld can opener), bottled water, portions of your poodle's medications, health records, vaccination records, and a leash, too. You'll know to go to this area (preferably the garage or carport) to get his supplies if disaster strikes. 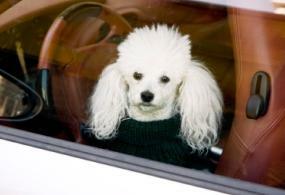 Make sure your poodle wears his collar with his ID tags on. If he gets scared during a natural disaster and runs away, he will be able to be identified. Always put your cell phone number on his ID tag along with your home phone number. If you have a work number you'd like to add, put that on. It's important to have telephone numbers on his tags where you can be reached all hours of the day and night. If your house phone goes out and your dog is found, there will be a way to contact you via your cell phone. Make plans for shelter if disaster strikes. Think of hotels in or out of your area that accept pets. Ask friends, family or neighbors who don't live in the affected area if they would take you and your pet in. If it's impossible to take your pooch with you, check with your breeder, animal shelter, local kennel or vet to see if they offer disaster boarding options before a natural disaster strikes. 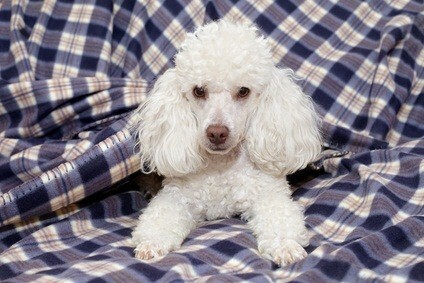 Your beloved poodle is part of the family, and if natural disasters occur, being prepared with your poodle's supplies can lessen the likelihood of your pet being left behind.